Hi everyone! I am Kirsty Bedwell, the newest member here at Chimcaum Tack!! I’ve been invited by Janie, Maren, and Mindy to help out with the social media and communications of their business. The equestrian driving sport is near and dear to my heart, so I am truly honored to be apart of such a great team of people who are working to grow and strengthen the driving community. 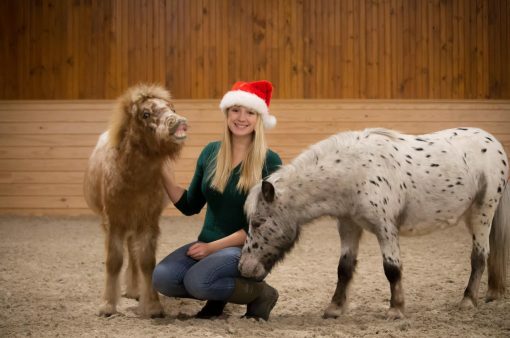 I am so excited to get the chance to share with the world this amazing brand that I have admired ever since I became a miniature horse owner myself. Through my experiences with social media, I’ve found it to be a revolutionary tool that allows us to connect such a niche industry with people of the same interest who may have never met any other way in life. Bringing people together online not only strengthens the community, but helps each individual grow by opening up their world and expanding their horizons. People are always surprised when they hear I grew up in the city of Philadelphia seeing as how my entire career and education has been centered around horses and farming. 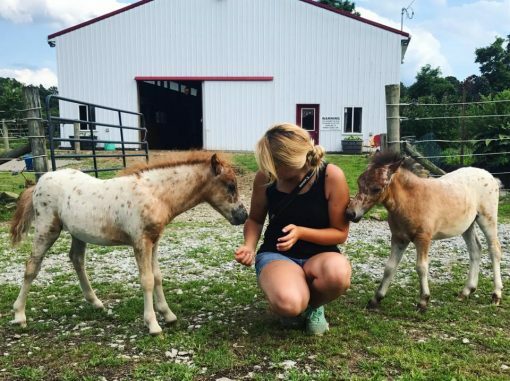 After catching the horse bug early in life, I made it my mission to make sure I never had to live without them, even though no one in my family had horses or knew anything about them. When I was a kid, I would hang around the barn and muck anyone’s stall in exchange for a lesson. After having attended both highschool and college for equine studies, I finally had the chance to purchase my first horse! 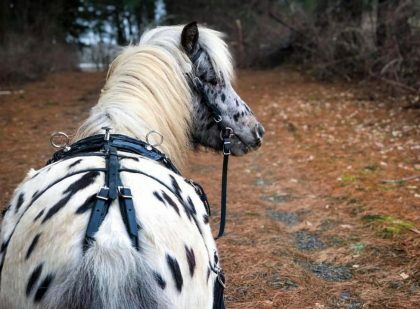 For whatever reason, I started the search for my own pony by googling “miniature horse breeders near me” and quickly found the foal of my dreams, Jasper. 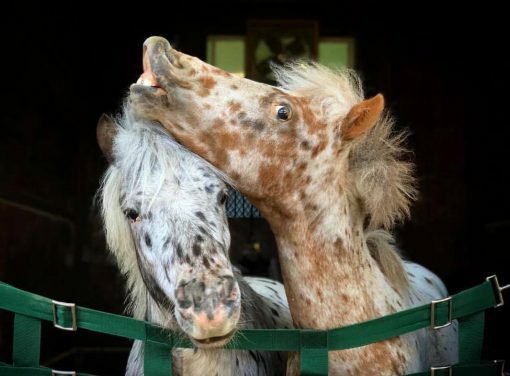 Not even a year later we added another little colt to the family, Wallace, so that Jasper would always have a buddy no matter where we moved. The two boys have brought so much joy to my life! I cannot believe that almost three years ago, purchasing my first horse would lead me to so many new things in life. Some of these new adventures include meeting thousands of people through social media, furthering my education in marketing while simultaneously pursuing this new career, diving deeper into my love for the sport of driving, and being given the opportunity to work with a fabulous team of like minded horse lovers here at Chimacum Tack! 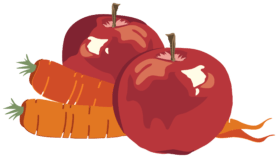 I am so excited to meet the rest of the Chimacum Tack family – all of you! You can find Jasper, Wallace, and I on any of our social media profiles. Our door is always open at Chimacum through any social media profile, or you can always get in touch by emailing me at social@chimacumtack.com – Have a wonderful weekend! This entry was posted in From Chimacum Tack and tagged mini, miniature horse, New Driver, team member. 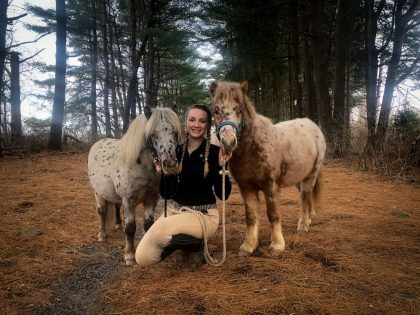 Kirsty brings both her passion for horses and social media experience to Chimacum Tack with the role of introducing HorseDrivers across the globe to our brand while connecting and strengthening the driving community online.